Well it’s that time of year in Orlando. 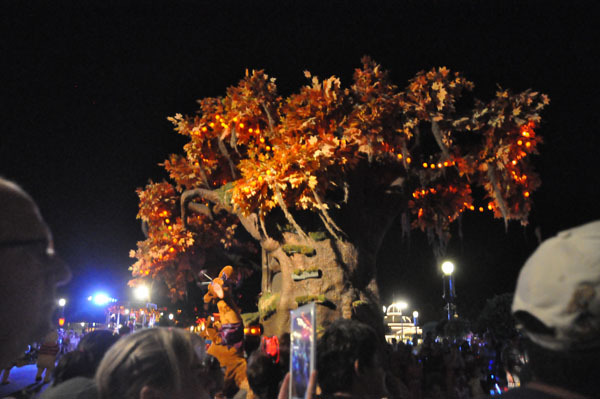 It truly is Fall when Mickey’s Not So Scary Halloween Party opens at Magic Kingdom in Walt Disney World. The park feels different to me on party nights. 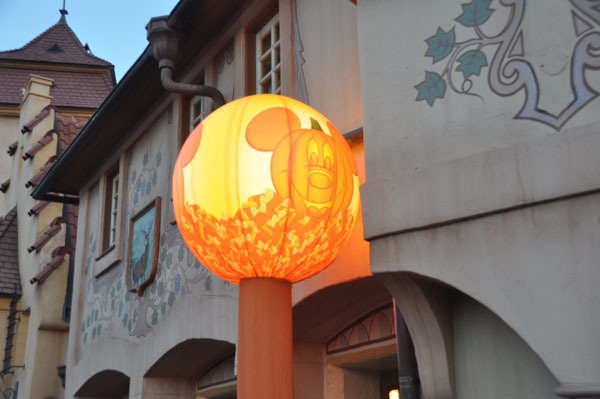 Main Street is decorated so if you aren’t attending a party you can still see the special Halloween decorations. The special effects are all around you. 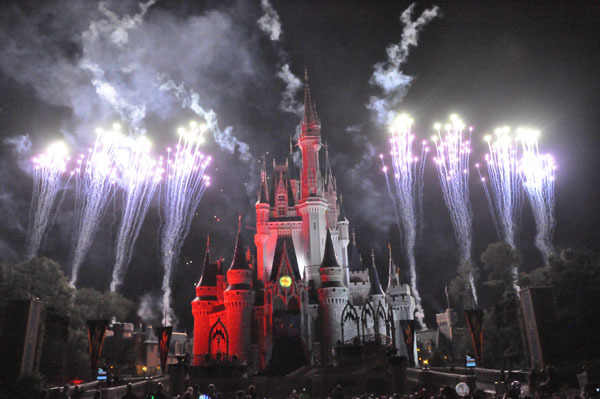 Disney does know how to party! 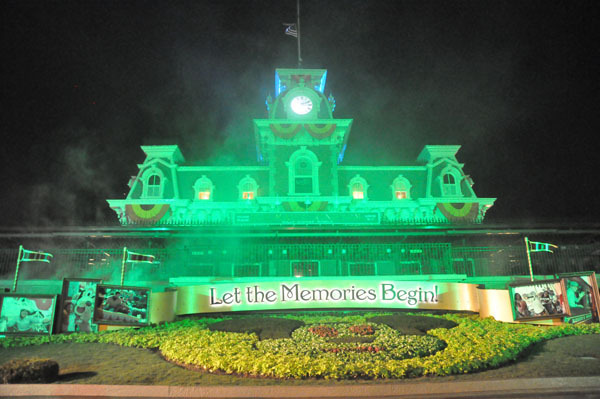 Mickey’s Not So Scary Halloween Party happens on select nights at the Magic Kingdom. The question people ask every year is “can you get in before the official start time of 7 PM?” The answer is yes. I arrived around 5:30 PM and entered the park with no problems. A nice treat this year was that I got candy as I enter the auto plaza. I had never received candy there before. I want to caution everyone that they may not be doing that all the time but it was a nice surprise. Also if you are planning on attending the party and you have an annual pass you will need to arrive before the official park closing or you will need to pay for parking. When I got to the Ticket and Transportation Center to use the monorail, the express monorail to Magic Kingdom was down. I don’t know what the problem was. I jumped on the resort monorail and after we got to the Grand Floridian we were held for 10 minutes, as there was a problem with a monorail in front of us. I haven’t heard that the express monorail will not be running for the Mickey’s Not So Scary Halloween Party so it shouldn’t normally be a problem on party nights. I recommend purchasing your tickets in advance. You do save some money by doing this. I printed my ticket at home and handed the ticket at the turnstile. It was very quick and easy. 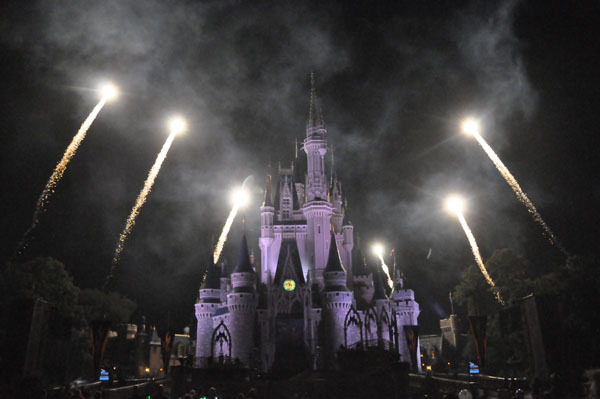 As you arrive at Magic Kingdom you will be directed to the turnstiles on the right. Once you are through you will receive a wristband. My memory may be failing me but they insisted it had to be the right wrist this year. You will find castmembers handing out trick or treat bags with a $1.00 coupon from Walgreen’s. The park maps are in their usual place inside the tunnel so be sure to pick one up. One of the best things about going to the party is the rides are basically a walk on. There aren’t any long waits to get on your favorite rides. I would recommend if you want dinner that you make an advance dining reservation for one of the restaurants before the park closes at 7 PM. There are limited options at the counter service locations during the party. Be sure to check the park map for their operating hours. We headed towards Pirates of the Caribbean for our first ride. 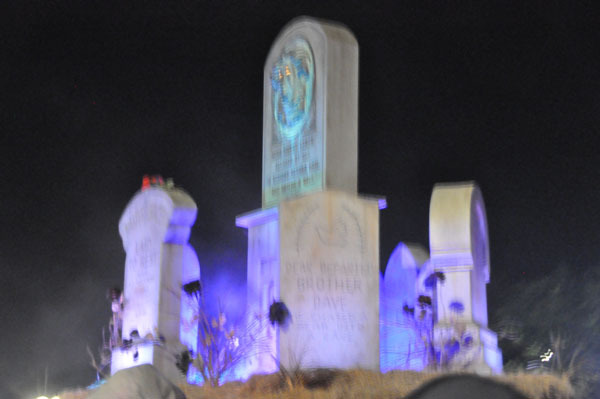 We then went to the Haunted Mansion. 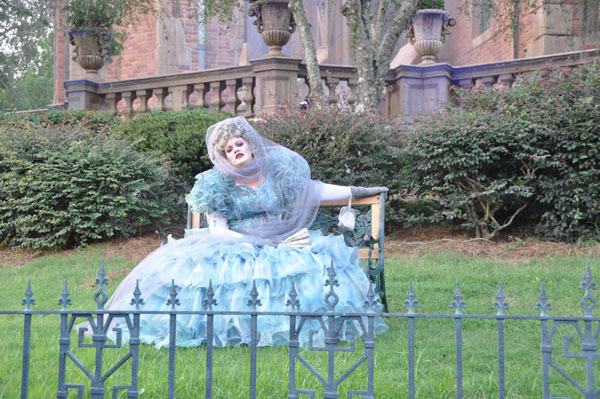 You need to see Madame Carlotta or Madame Rinotta sitting outside on the lawn by the mansion. They entertain the crowds and we stood there for about 10 minutes watching Madame Carlotta. The trick or treat locations are marked by these signs so be sure and stop to get some candy. The sponsors for the party are Chiquita, Werther’s Original, Kellogg’s, Peeps and Walgreen’s. We were lucky enough to be there when one of the new attractions in New Fantasyland was open. 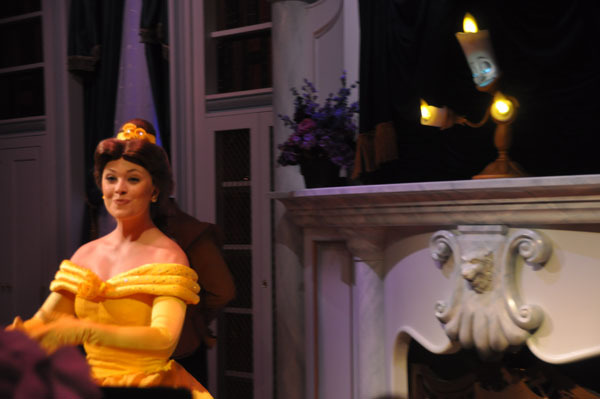 Enchanted Tales with Belle was a wonderful surprise. 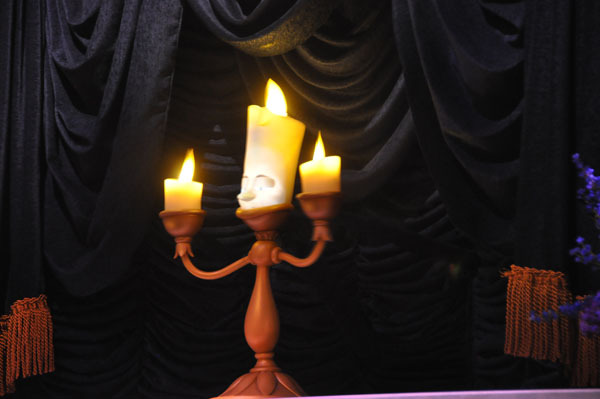 If your children enjoy Beauty and the Beast you must visit this attraction. There is a special Disney touch at the beginning but I am not going to spoil the secret. Let me say you will be surprised and amazed! 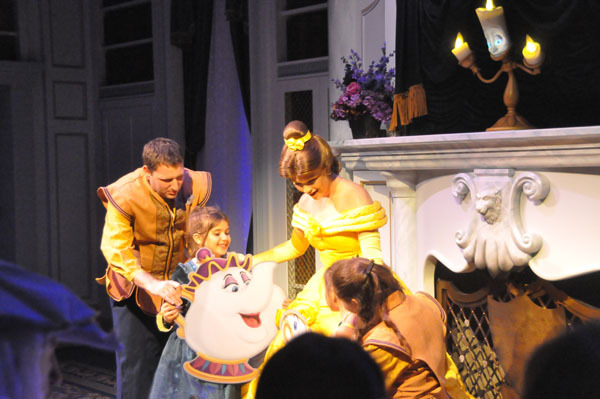 Many of the children in the group and several adults are given a role to play when they meet Belle. If your child wants to play a part tell them to jump around and look excited. Those children seem to get picked. 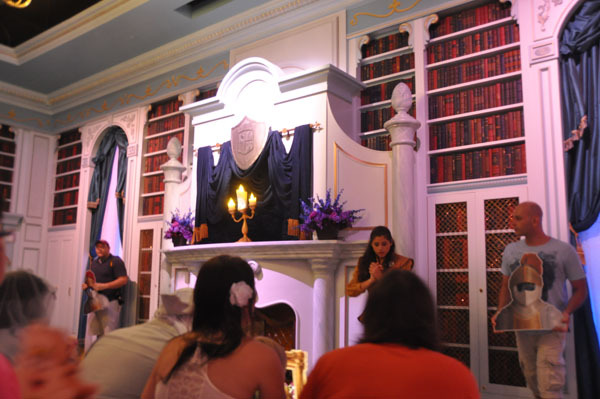 After the roles are assigned you enter the library to await Belle. 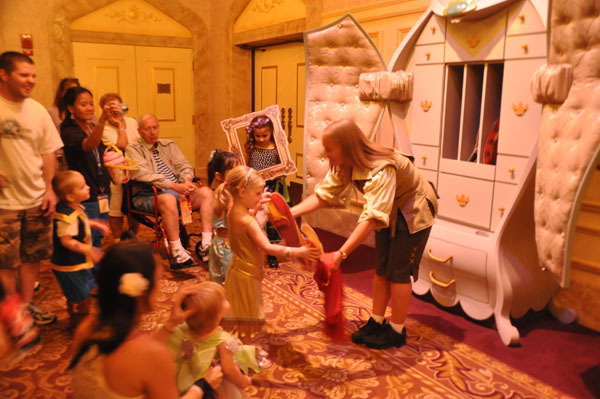 The children parade around the room with Belle. The children and adults participating then get a minute to talk and take photos with her. They also received a bookmark. I can’t wait to go back and experience this again. 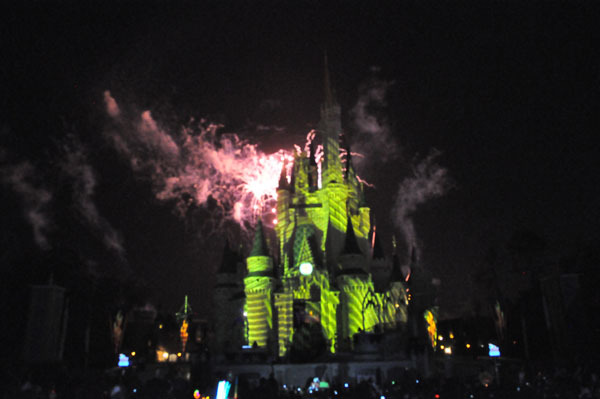 The attraction will be in soft opening until the new Fantasyland officially opens December 6, 2012. 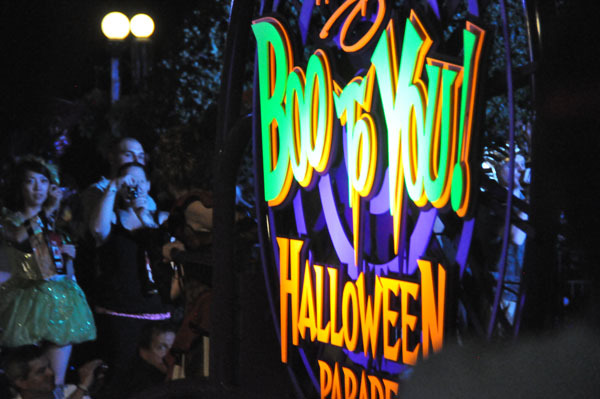 We headed over to the Cinderella Castle area to watch the Boo to You Halloween Parade. Ok, first a vent. Why do people bring their iPads to the park to take pictures? If you are going to use your bulky iPad to take pictures please remember there are people standing behind you trying to see. I also don’t care to watch the parade go by on your iPad. Please use a little common courtesy when taking pictures or video. Everyone else is trying to see the parade too. 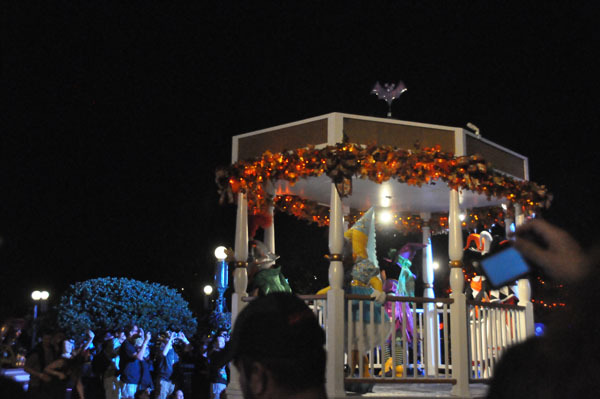 The parade starts most nights with the Headless Horseman making his appearance. If it has rained and the street is wet you may not see him. If you have never seen the parade you are in for a treat. My favorite is still the grave diggers and their shovels! 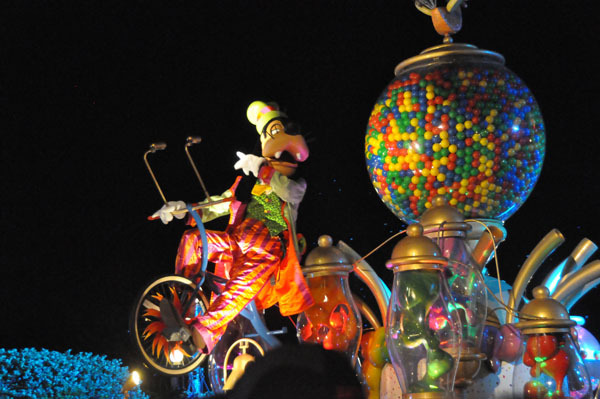 If you have been in years past you might want to hum “Recycle the Magic” as the parade goes by. No new routines or floats. 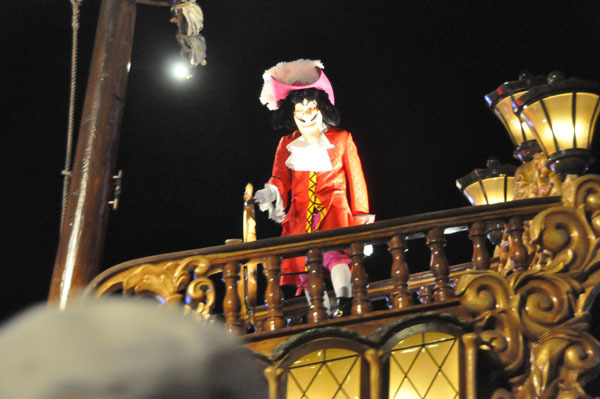 The parade is performed at 8:15 and 10:30 PM. The second parade isn’t normally as crowded. The favorite part of the evening for me is the fireworks. 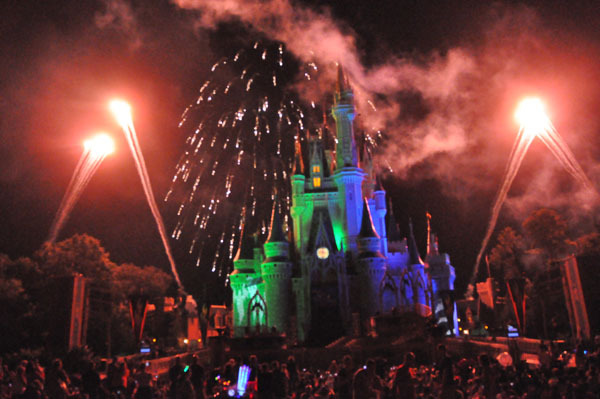 Disney has spoiled me when it comes to firework shows. This is a can’t miss part of the evening. The fireworks start at 9:30 PM. There is plenty of space to view them but you want to arrive early to get a great location. As I left the park they were handing out candy outside the turnstiles. Be sure to stop by and get that last bit of candy. I had a great time but I really wish they would add some new things to the parade and decorations. 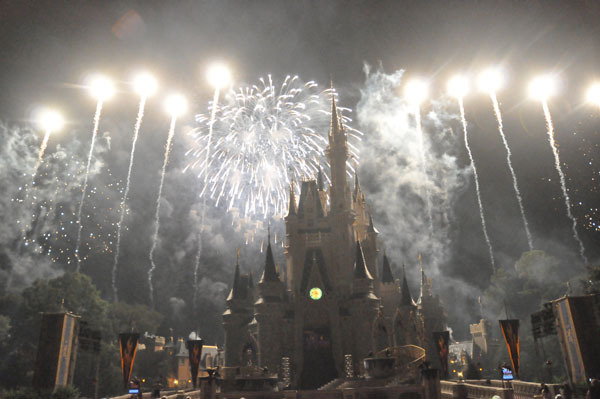 I hope when the new Fantasyland opens Disney will change the party up and add something new. A girl can dream can’t she? See you in the parks!